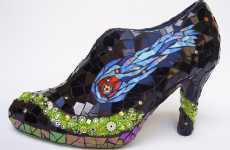 An important part of any woman’s ensemble is the Spring 2010 footwear that has been shown on the runways this season is borderline sinister with super-skinny heels and studded spikes poking out from all over the shoe. 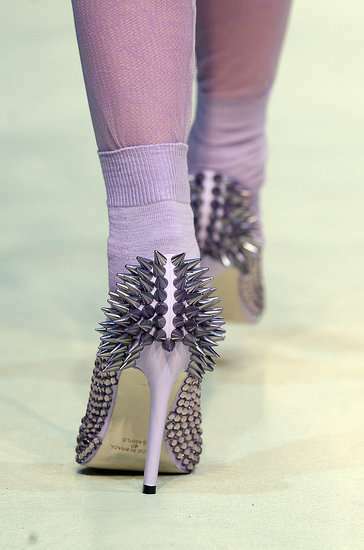 One of the best examples of this stylish new Spring 2010 footwear comes from Louise Goldens Spring 2010 RTW collection, which features lilac stilettos covered from ankle to toe in spikes and studs. 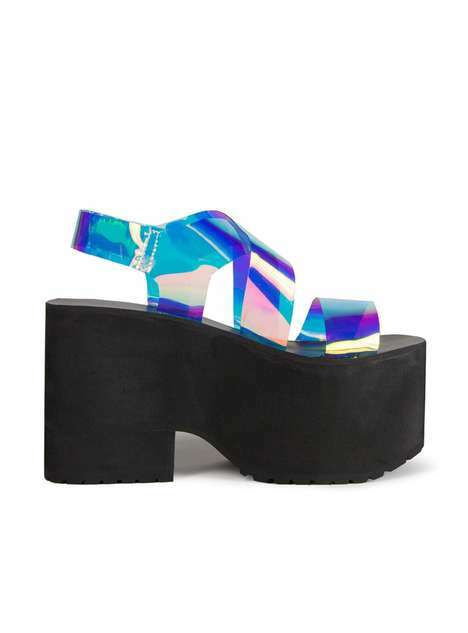 I may invest in a pair for when I go to the bar, that way when Mr. Lame-Pick-Up-Line refuses to take a hint, I can "sober" him up with one swift kick.